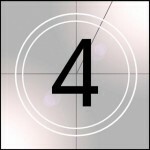 Well, the clock is ticking away, and I am just four days away from (gulp) having my surgery. Today has been a MUCH better day than previous ones in terms of pain. I was just a hair away from going to the ER a couple of times this past week. But I stuck it out (and lost another two pounds). My dear husband took me to Target today so I could purchase some items I may need in my recovery and to stock up on groceries since I won’t be able to to the shopping for awhile. I very nearly could not do the shopping today — I can’t get over how weak I was. But I guess that’s what happens when you’ve been unable to eat more than one or two bites of food per meal in the previous five days. I will shout it out here: I have the BEST husband in the universe! I am praising God for gifting me with that man!! Seriously, my shaky legs were very happy to have MY strong, strapping man pushing the heavy basket for me. Yesterday I endured the abdominal ultrasound. My stomach is so tender, especially in the area just under my ribcage, that merely pressing on it with the slightest touch creates pain that makes me see stars. The ultrasound technician was not very talkative. Usually I can get them to tell me at least SOMETHING about what they see on screen. But she wouldn’t tell me a thing except to say that the area where I hurt the most is my pancreas. She also got irritated at my right kidney because it kept hiding behind my ribcage. As if I could do anything about it!?! Of course when I got home I looked up pancreas pain and came across all kinds of scary things that I really didn’t even let myself read. I figure if there was something pressing, like gallstones or tumors or other potentially life-threatening conditions, the doctor would have called me by the end of the day, especially since my pain has been so acute. But I didn’t hear from him. No news is good news?! Except I really want to make sure I am healthy enough to withstand surgery. Which leads me to again theorize that I have endometriosis lesions attached to organs all throughout my abdomen, causing all sorts of havoc. Endometriosis wouldn’t necessarily show up on the ultrasound. And of course there is the pattern of pain: hormones go up, pain goes up. Hormones go down, pain goes down. Oh well. I guess I’ll know for sure in four days! Unless of course the doctor decides I have too much inflammation in my digestive tract and nixes my hysterectomy until the digestive tract is healthier. But we won’t think about that. I’m ready mentally for this surgery. I think. But I hope I am well enough physically to endure it. My weight, normally around 88-92, has dropped down to 84.8. That’s not the lowest it has been in times of sickness for me, but it’s still low enough to ensure that I have zero fat reserves. I know the Lord knows this about me, and I pray that He will cover this as well. I pray He will increase my appetite between now and the surgery so I can once again eat more so I can gain a pound or two. I pray He will guide my doctors and help them make wise decisions about my health. He knows I can’t continue along this road, having unbearable pain three weeks out of every month. I also pray he will remove any fear that rears its ugly head as I move through these next few days. I am HIS, and He will carry me through this because He is faithful. The Lord inhabits the praises of His people. Praise Him for covering me this far…through the endoscopy (that was HUGE! My husband was floored that I was not falling apart at the seams that morning), the ultrasound, and the go-ahead from the hematologist. Praise Him for the healing He is going to do in my body and in my spirit as I confront anxiety about the surgery. Praise Him for guiding me to this point…and praise Him for giving me the courage to step out in faith and trust Him to cover it all for me (and for you!) not just four days from now, but every day, in every way.